It is the time for Xiaomi to rejoice as its Redmi Note 7 series reached a milestone by selling one million units just in India and that too in a month. 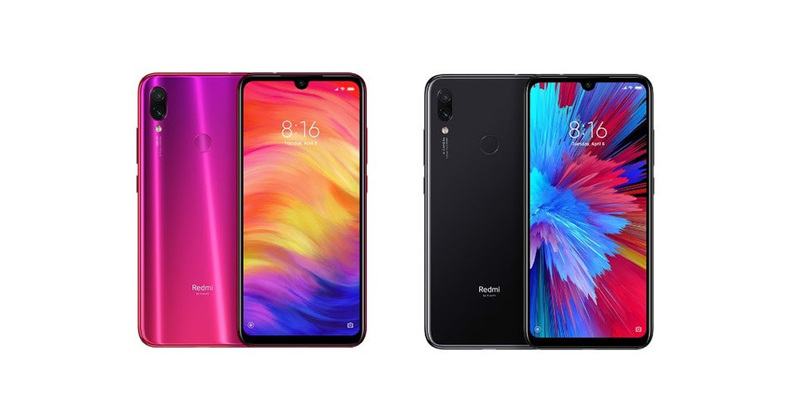 The company claims that both the Xiaomi Redmi Note 7 and Redmi Note 7 Pro were launched in March and just in one month both the smartphones altogether crossed over one million milestone units sale. The smartphones have stood up to the expectation of the company and are tagged as ‘winners‘ across the world. Few days back, the company claimed that the Redmi Note 7 and Redmi Note 7 Pro crossed the sale of 4 million units across world till 29th March. In India, the smartphones were launched in the last week of February. The first market of the Redmi Note 7 was the China which was launched in January and in India was announced in March. The India-specified smartphone came with some difference in terms of specifications as compared to the China-based variant. In China, the Redmi Note 7 sold one million units successfully in just three weeks which is just spectacular. The Redmi Note 7 Pro was made first to launch in India with upgraded specifications and a Sony IMX586 48-megapixel sensor and later in the markets of China by the company. The response in both the markets of both the smartphone are awesome and reached the one million units swiftly. The company claims that the Redmi Note 7 Pro will only be available in India and China rather than other markets. The company few days back also announced its achievement of selling one million units of the Mi Band. This wearable is also considered as the budgeted device for the customers from the company due to which it has become so popular and set a milestone. The Redmi Note 7 costs Rs 9,999 for 3GB of RAM and 32GB of internal storage while the 4GB of RAM and 64GB of onboard storage variant carries a price tag of Rs 11,999. The smartphone comes in three color options- Sapphire Blue, Onyx Black, and Ruby Red and can be grabbed from Mi.com, Mi Homes, Flipkart, and Mi Stores. The Redmi Note 7 Pro carries a price tag of Rs 13,999 for 4GB of RAM and 64GB of internal storage while the 6GB of RAM and 128GB of onboard storage variant comes at Rs 16,999. The smartphone comes in three color options- Nebula Red, Space Black, and Neptune Blue and can be grabbed from Mi.com, Mi Homes, Flipkart, and Mi Stores. In terms of the specifications, the Redmi Note 7 Pro flaunts a primary 48MP back camera along with a secondary 5MP depth sensor. It gets the power from the Snapdragon 675 SoC mated with up to 6GB of RAM while the Redmi Note 7 is powered by the Snapdragon 660 SoC. The Redmi Note 7 carries dual back camera setup which includes a primary 12MP sensor and a secondary 2MP sensor. Similarities between both the smartphones is the 6.3-inch display, a 13-megapixel front camera housed in the dew-drop notch, MIUI 10 software, and a capacity of 4,000mAh battery.